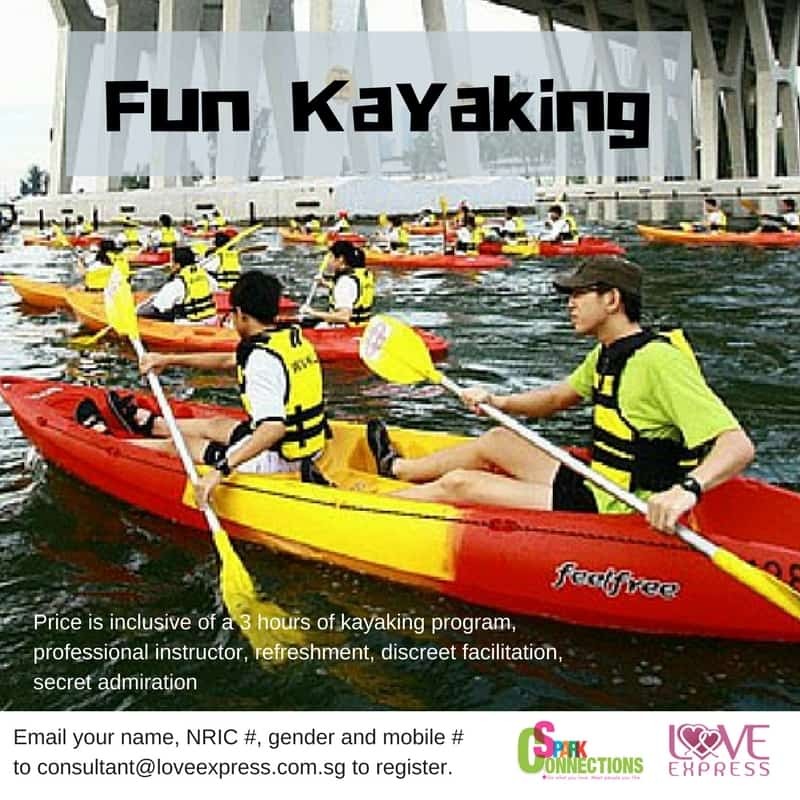 If you are up for a splash-surf challenge – this kayaking expedition along Marina Bay and the Sports Hub is for you! This is an adventure to be experienced by all participants, swimmers and non-swimmers alike. It combines fun, excitement, uncertainty and challenge, not to mention teamwork, mutual support and trust. Kayak in groups of two and then share your experiences with the other paddlers over drinks and snacks. We have partnered with a local and renowned adventure company to provide a qualified instructor. Event includes 3 hour of kayaking inclusive of briefings, professional instructor, refreshment, discreet facilitation, secret admiration (if there is a mutual match, contacts will be released to both participants) and matching.